Thunderbolt is the high-speed connection protocol introduced on Apple computers in 2011. Now available in two versions, it offers either 10 or 20 Gbps (yes, that’s Gigabits per second) throughput — fast enough to reduce latency on audio connections to unheard-of levels, a few milliseconds at most. Thunderbolt can carry more power than FireWire or USB, allowing it to bus-power interfaces that provide plenty of phantom power to microphones. It can stream audio, video, MIDI, and more, all down a single cable, with nary a hiccup, and it turns a lot of the concerns that plagued early computer-based audio systems into non-issues. 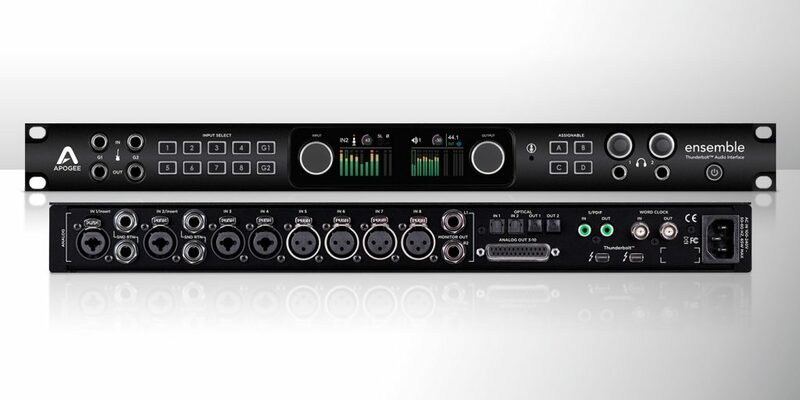 We’re now seeing a significant number of Thunderbolt audio interfaces on the market. The latest entrant is Zoom, which is now offering a pair of 2-in/2-out Thunderbolt interfaces that combine portability and power. 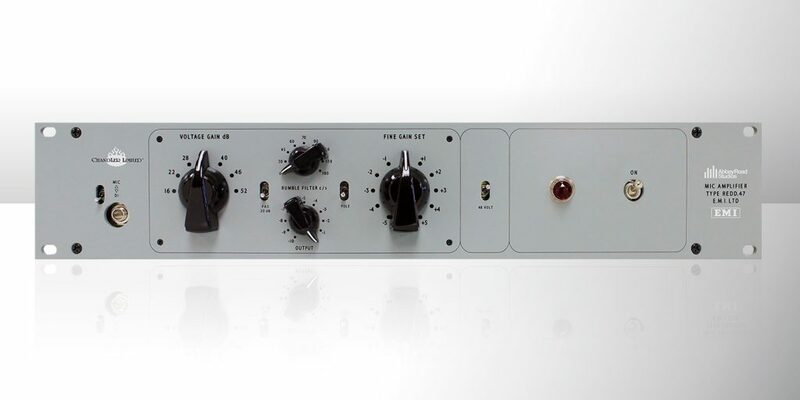 The TAC-2 was first on the market; it’s a tabletop unit with onboard meters and a large multifunction control knob. Today we’re reviewing the TAC-2R, which has a slightly different feature set and is packed into a compact, rugged enclosure. 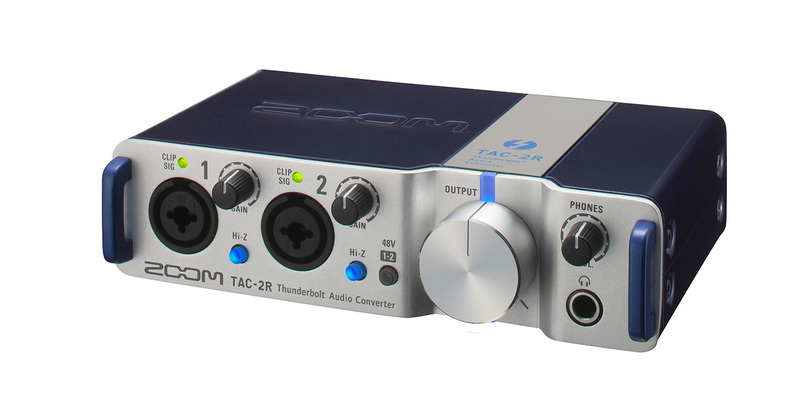 The idea behind the TAC-2R is to take the standard feature set that recording musicians have come to expect in small audio interfaces, and then supercharge it with the speed of Thunderbolt. Aside from the Thunderbolt cable in the box, the TAC-2R will be completely familiar to anyone who’s used a small audio interface for DAW work. The front controls are protected somewhat by a pair of metal “rails.” There are two combination XLR/TRS balanced inputs on the front panel, each with a gain pot, Signal/Clip LED, and a blue-backlit Hi-Z switch, plus a 48V phantom power switch that’s global to both inputs. Next to that, there’s a large, smooth output volume knob with a large blue power/connection LED, and a 1/4″ TRS headphone output with its own volume knob. The rear panel sports a pair of 1/4″ TRS balanced outputs, a Direct Monitor switch (Off/Mono/Stereo) for zero-latency listening, a single Thunderbolt port, and 5-pin MIDI In and Out. (The TAC-2 doesn’t have MIDI.) Because it’s only got a single port, the TAC-2R must live on its own Thunderbolt connection to your Mac, or at the end of the daisy chain if you’re also using Thunderbolt hard drives or other peripherals. The entire enclosure is solid metal and the pots are silky smooth. The TAC-2R won’t turn on if you plug it in without installing its drivers first; the latest version is available for download from Zoom’s Japanese and North American websites, along with a software utility called TAC-2 MixEfx. Installation is straightforward; you don’t plug in the TAC-2R until the drivers and MixEfx are installed, and then it comes up and is available as a stereo in/out audio device and a single-port MIDI in/out device in Apple’s Audio MIDI Setup utility. MixEfx is well worth a mention, because it exposes some hidden features in the TAC-2 and TAC-2R. As you can see in the screenshot, in addition to the hardware-switchable Hi-Z access and global phantom power, the inputs have lowcut filters and polarity inversion, plus input meters with persistent overload indication. The computer’s playback and recording sample rate is displayed in this software (although it’s set in Audio MIDI Setup) and it has its own metering, plus a Loopback function that allows audio to be played back from the computer, mixed with the inputs, and re-recorded into your DAW. A built-in mixer lets you set panning and levels for the inputs and computer audio before sending them to the outputs. On the TAC-2R, level control for the Phones output vs. the rear-panel outputs is done in the analog domain with two separate knobs; on the TAC-2, the front-panel knob does double duty and the MixEfx software has separate metering and Mute buttons for both outputs. Also of interest in MixEfx is the Effect section, which adds plug-in effects processing to add ambience to the outputs for confidence monitoring. There are eight presets — six reverbs and two echoes — and the two inputs and the computer playback can each have their own effect levels in the output mix. When you’ve set up your inputs, gains, and effects to your liking, you can then save them to one of three patch memories inside the TAC-2R. The TAC-2R supports up to 24-bit 192 kHz audio I/O, and its converters are well up to the task. The inputs have plenty of headroom and the preamps are flat, clean, and uncolored without being sterile. The spec sheet claims 0 to 60 dB of gain in 1 dB steps, and all but the last few dB of that gain range is noiseless and clean. You could use a low-output dynamic or any but the most finicky old ribbon mics with this interface and be happy with your results; I tried it on a Shure SM7B and was very pleased. Playback was gorgeous. My 24/96 and 24/192 files sounded full and clear without any odd artifacts, and both the headphone output and the mains had enough gain to get plenty loud… in fact, after the comparatively anemic playback performance of my previous in-house audio interface, the TAC-2R nearly blew my speakers at moderate level settings. What’s really startling is just how low a latency figure you can get with this interface, even with a relatively modest computer. The connection is no longer a limitation; Zoom claims latencies well under 5 milliseconds round trip (44.1 kHz sample rate/64 sample buffer) and I found I could use the interface to track with Direct Monitoring turned off with no issues at all. How fast was it? Latency was so low that I initially assumed the effects processing controlled by MixEfx was actually from a built-in DSP chip in the interface! When you don’t even realize you’re using a reverb plug-in because there’s no time delay, you know your system’s burning rubber. Note that the TAC-2 and TAC-2R are Mac-only devices. While there are a few Thunderbolt cards for Windows PCs out there, and at least one Thunderbolt interface family with Windows drivers, it’s widely assumed that if you’re using Thunderbolt, you’re using a Mac. If you’re a PC user and you find yourself drooling over this kind of performance and wishing you could enjoy it in your PC setup, don’t despair. At Winter NAMM this year, right next to the TAC-2R, Zoom showed an interface called the UAC-2, which isn’t yet mentioned at the Zoom North America website as of press time but has a full writeup (in English) on Zoom’s Japanese site. Its enclosure, front panel controls, and rear-panel connections are identical to the TAC-2R’s, but it’s designed to work with USB 3.0 — not as fast as Thunderbolt, but no slouch either at 5 Gbps, over ten times as fast as USB 2.0. The UAC-2’s rear panel adds a Class-Compliant Mode switch, a Power switch, and a jack for an optional external power supply, so the UAC-2 will work with an iPad, too. We’ll be asking Zoom for a review unit when it becomes available in the USA. The TAC-2R isn’t as inexpensive as your average stereo USB audio interface, but it doesn’t perform like one either. 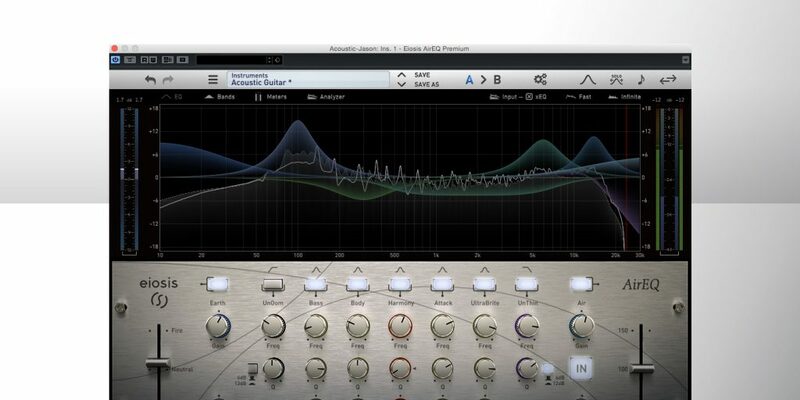 If you have a need for speed and all it brings to audio tracking and mixdown, introduce your Mac to the TAC-2R. “Zoom,” indeed.